Did you ever read a book when the author uses a word that sticks in your brain? Maybe it’s a new word you’ve never heard before. Maybe it’s one you haven’t heard that often. It’s a great way to expand your vocabulary. But when the author uses the same word a few chapters later, does it jump out at you? It does for me. I thought perhaps this was a pet peeve of mine alone. Seems that’s not the case. I feel insulted when authors repeat themselves; I don’t mean when it’s done for effect or emphasis. When the author describes someone in the first chapter, and then later uses the same (or nearly the same) description in later chapters, that annoys me. It’s as if they don’t give me credit for paying attention. I’ve read books where they are consistently rehashing the “mystery” they are trying to solve. Waste of paper. Individual words can sometimes have the same effect if they are too large or too unusual. It’s great to be creative and use your thesaurus. But know when enough is enough. If you find a great, unusual word and it sticks with you, it will probably stick with most readers as well. 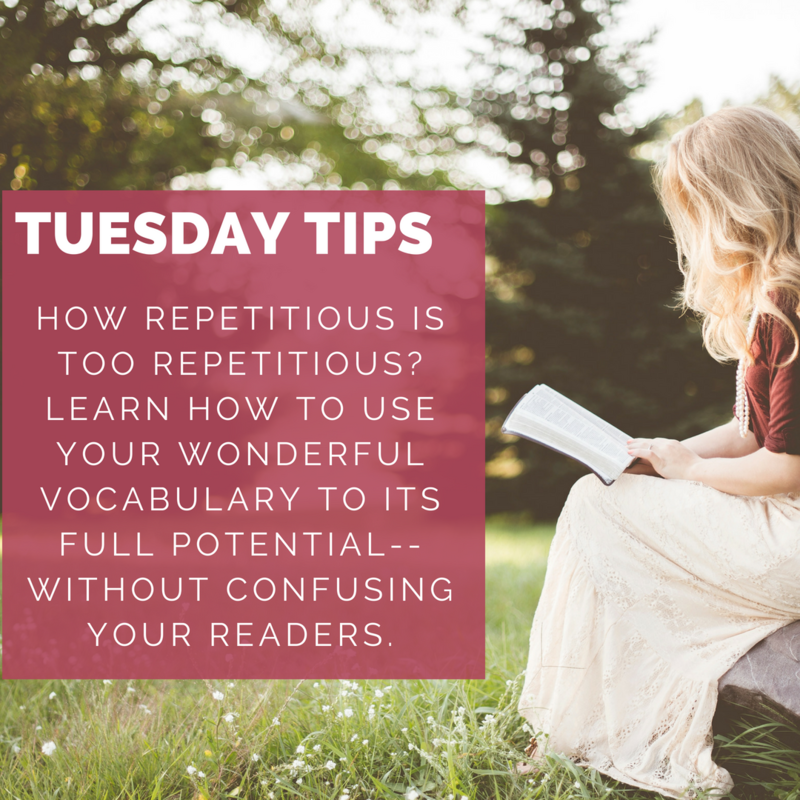 If you use it more than once—even if it is many chapters later—it will stand out to your readers. At that point, instead of seeming creative, now you are repetitive. The thesaurus can be your friend—when you pick the simplest word that meets your needs.